It’s cool and quiet and still and expectant. Postpone some other stuff if you must…but, don’t…don’t postpone joy. For some of us…that will require an Easter miracle. Lucky for us….today is Easter! The Easter story makes new beginnings far more powerful than any New Year’s Day ever tried to be. I don’t know what your April 25th might bring. 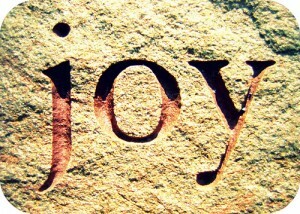 Joy may be hidden; may be battered a bit; may be covered with sand and soil.